I found this old friend growing by the side of the tarmac path in Cherry Tree Wood last week, and it brought back many memories of when I was a little girl. I grew up in Stratford, in East London, and our local park (the ‘Rec’) was full of Pineappleweed, growing up through the cracked surface of the playground and huddling along the pathways. I was entranced by the way that the crushed blooms smelled strongly of pineapple, and even today I couldn’t resist giving one or two of the flowers a little squeeze (just in the interests of research, you understand). 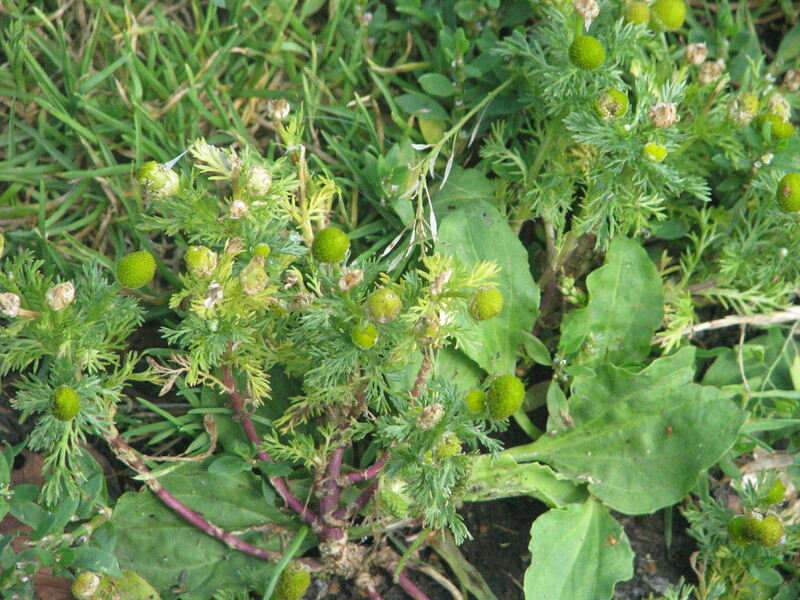 As with so many of the ‘weeds’ we’ve investigated, Pineappleweed is not a native – it comes from north-eastern Asia and the western part of North America and ‘escaped’ from Kew Gardens in 1871. Since then, it has travelled to most parts of the UK, and the seeds are easily transported in the tyres of motorcars, which explains the many colonies of the plant in car parks and in the cracks of roads. “Babies in the Crow tribe could have a perfumed cradle as it was lined with the dried, crushed plant. The dried flower heads also provided a perfume for the Montana Indian and Blackfoot tribes, and they were an ingredient in a perfume mixture used by the Cheyenne. We see, in this description, the way that a plant that is ignored and unnoticed in our urban environments has been used and enjoyed in a myriad ways by other communities. This humble little plant was one of the first to spark my interest in the natural world. I loved showing my friends how the plant not only looked like a pineapple, but smelled like one as well. This was enough to get me thinking about how plants are related to one another, and to start investigating the communities of animals that existed around these plants. Sometimes, a lifelong passion can be sparked from the smallest things. This entry was posted in London Plants on August 20, 2014 by Bug Woman. 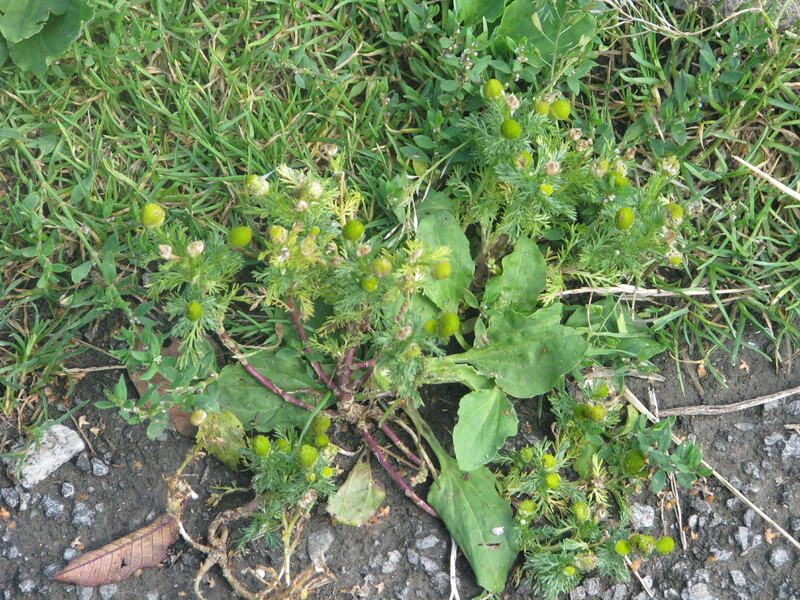 My favourite weed ( and I was brought up in Forest Gate ! ) 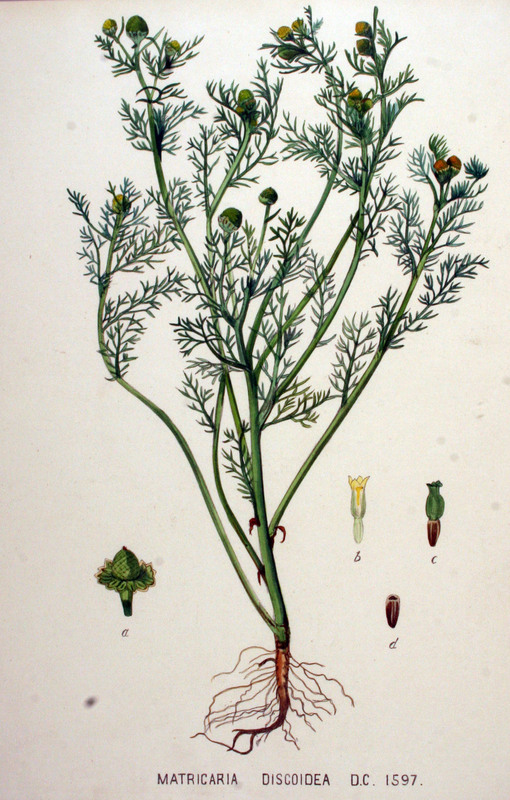 I make fairies and dye their clothes from fruits and flowers – you have inspired me to make a PIneapple weed fairy …love reading your posts. Lesley!! Forest Gate! My dad was born in Forest Gate. I would love, love, love to see a pineappleweed fairy. If you send me a photo, I will publish it on the blog…..